Pastries are awesome. But pastries go stale very quickly. So what are you supposed to do with all those leftover, say, croissants you thought your family would house while in town? 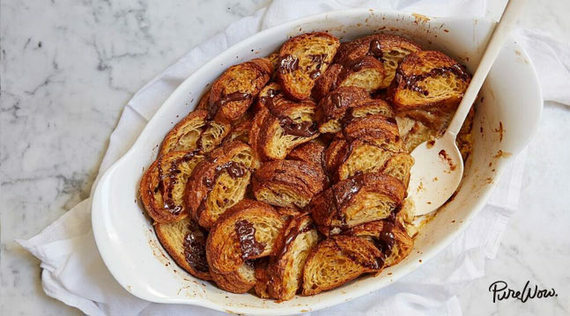 Well, make croissant bread pudding covered in chocolate sauce, of course.